Is the Research on Employee Motivation Useful? I spent years as a student and appreciate the work environment of universities. I’ve also spent decades as a consultant and continue to be fascinated by the dynamics of organizations. That experience has made me very aware of the dichotomy between theory and practice. The challenge for those interested in raising workforce performance levels is in identifying the useful ideas to motivate employees. To emphasize a key point, there is solid research evidence employees are capable of performing at significantly higher levels in a positive work environment. Articles on creating high-performance organizations appear frequently in major business periodicals. A thread which runs through the public administration literature is the emphasis on theory over practice. That is in contrast to the literature on the business world where the common purpose of research is to identify strategies to improve company performance. Studies in the business world consistently look for linkages between practices and results. It is important to note that having motivated employees does not guarantee improved performance. An equation I saw some years ago is: Performance = motivation x knowledge/skills. Also important in government is employment empowerment to address job-related problems. Motivation has been a topic of writers as far back as the Greeks. Although the most prominent theories focus narrowly on the individual, in a work context the theories from social psychology are also relevant. This column, of course, cannot provide an adequate discussion of all the theories — Amazon.com lists over 3,000 books on employee motivation. 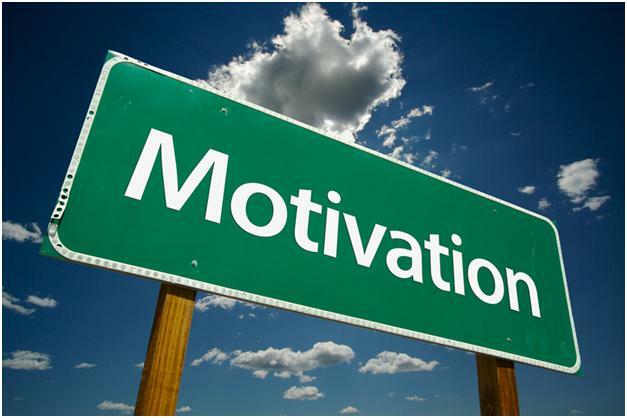 First, it’s important to understand motivation is a theoretical construct used to explain behavior. Employees are motivated to have a job, in some situations to keep a job, and in the right circumstances to raise their performance level. Different factors explain those three employee motivations. Additionally, in government, Public Sector Motivation (PSM) is widely accepted to explain career choice. Significantly, research has not confirmed a linkage between PSM and performance. The first exposure of students to the theory would typically be Abraham Maslow’s hierarchy of needs, Herzberg’s two-factor model, and Douglas McGregor’s theory X and theory Y. Actually, the changes in private sector workplaces over the past two decades are in line with both Maslow’s and McGregor’s arguments and certain elements of Herzberg’s argument. But there is no evidence the theories were a consideration in the revolution in work management triggered by the 1990 recession. We should also consider David McClelland’s argument that people are motivated to fulfill three types of needs: the need for achievement, the need for affiliation and the need for power. His argument has been largely ignored by other researchers. Other theories of individual motivation include Kurt Lewin’s force-field analysis, Edwin A. Locke’s goal-setting theory and Victor Vroom’s expectancy theory. These theories argue that workers are motivated by different factors at different times. These three areas of theory are not prominent in the public administration literature but are closely related to common practices in the business world. Workers of course rarely work in isolation. Individual motivation theories need to be considered along with those that focus on employees in groups or on their relationship with a supervisor. The most important of the theories today is another construct, employee engagement. Gallup’s engagement studies focus on the importance of the supervisory relationship; nine or 10 of their Q12© survey questions involve supervisory practices. The problem is that each of the groups conducting engagement surveys relies on a different set of questions. Those differences introduce uncertainty in developing strategies to increase employee engagement. Significantly, other studies have confirmed supervisors impact organization performance more than any other factor. Conflicting studies and theories also impact another, intuitively important construct: organizational culture. Here Edgar Schein’s research and model of organizational culture has been a leading theory now for over 30 years. Although culture frequently surfaces in the literature, questions continue. As recently as 2013 HBR published an article entitled, “What Is Organizational Culture? And Why Should We Care?”. It’s important because the need to create a performance culture has been raised repeatedly by critics. The U.S. Office of Personnel Management devotes a page on its website to that theme. There have, however, been very few practical studies of government culture. And possibly none that document or assess efforts to change government culture. 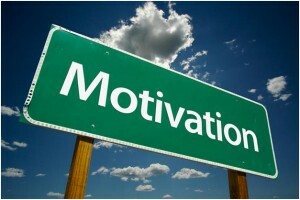 So the question is: What value do the theories of employee motivation have in initiatives to raise performance levels? That’s a leading question of course and the answer should be obvious. What Do We Know? What Can We Use? Realistically we know a lot about motivation and performance from personal experience. There are practices that are effective at all ages and in all walks of life. A prime example is that people perform better when they have goals. That’s Locke’s theory. Its virtually universal at all levels in business. For reasons that are not clear public employers have bought into the value of defining organizational goals but the practice is not a widely accepted practice for managing individual employees. We also know people like to be valued and praised for their accomplishments. The practice is used without thinking with children. In business, it’s at the heart of pay for performance — and widely accepted as a positive recognition of an employee’s contribution. That’s Vroom’s expectancy theory. Government’s continued reliance on step increase policies fails completely to confirm employee value. A related practice is the ides of frequent feedback. It’s the same as a coach when players come off the field. Effective feedback and coaching is essential to improved performance in every field. We also know people want to know their work matters. This is a natural advantage of public service. Purpose-focused organizations have been shown to perform better. Employees are better motivated when they understand how their efforts contribute to achieving their organization’s goals. But improved performance requires more than increased motivation. This is not about working harder. When employees know their ideas will be valued, they will be the best possible resource for changes needed to become more efficient and productive. Involved them in improving operations triggers their commitment to making the changes a success. This would no doubt have been on Douglas McGregor’s wish list but it was far from reality when he and others were developing their theories.